Spirits from the Kiwetin forest started to run wild. With the wind's help, they will have to find their way and try to arrive first in order to get the sacred flower. However, the wind will play a few tricks on them. It will be a help or a hindrance. The Kickstarter campaign is over. We've got funded under 24 hours and reached 535% of our original goal. For those who missed the Kickstarter, you can get the game on Backerkit now. What kind of game is Kiwetin? 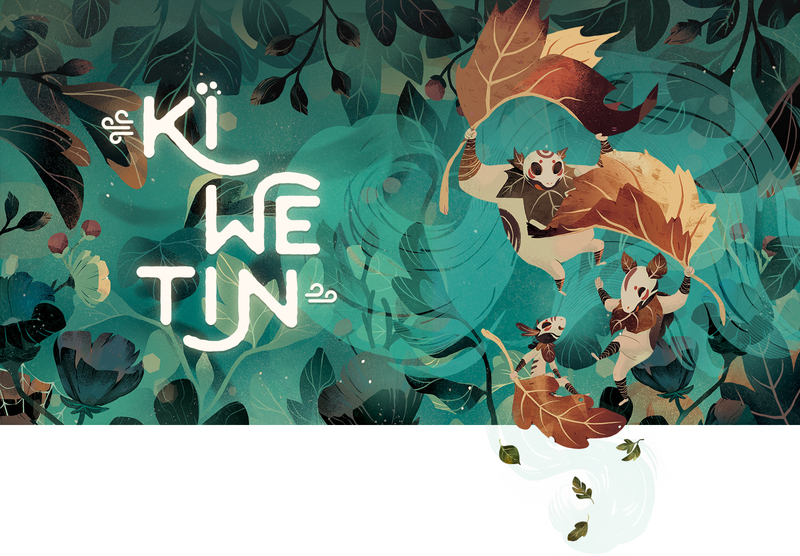 Kiwetin is a simple and addictive fast-paced boardgame. You will play as one of these spirits. Your character's caliber affects the way you move on the board. 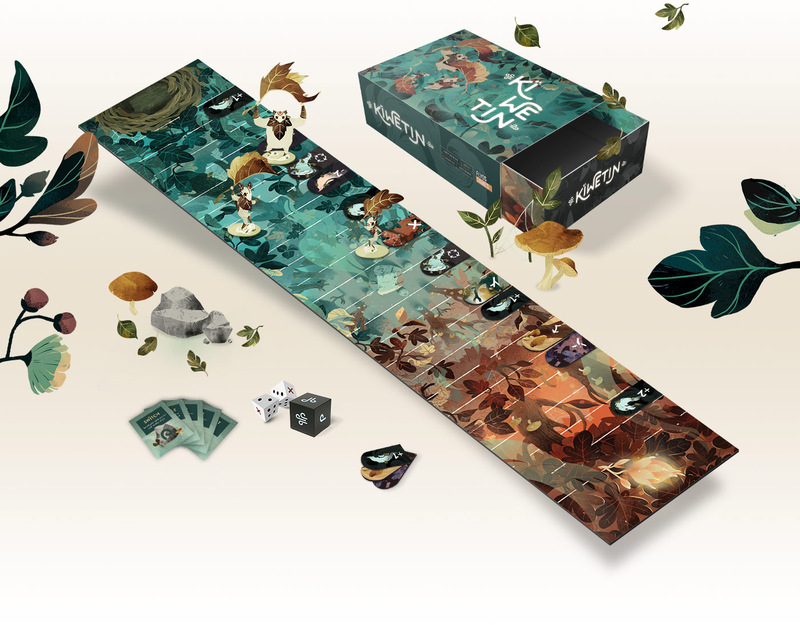 The randomly placed action tiles offer a unique experience during each game. Subscribe to our newsletter to get access to exclusive news. We promise to not spam! Flyos Games © 2017 - All rights reserved.